Find the best Spanish teachers for kids or adult tutoring in Ferris, and book your private lessons today. I have more than ten years of experience teaching Spanish and English as a Second Language (ESL). I guarantee my students a successful class thanks to my passion for teaching, my patience and my enthusiasm. 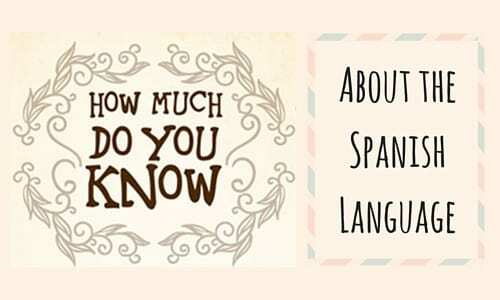 Spanish is my native language and I've always been fascinated by its grammar, its phonetics and beauty in general. But learning other languages has also being one of my passions. I am fortunate to be proficient in two languages (Spanish and English), but knowing a few others has given me perspective that became a tool for another of my passions: Teaching!!! I strongly believe everyone is capable of learning Spanish. That's why I guarantee my students I can teach them not only what they want but also what they need. been recognized and awarded by organizations like the Erie Neighborhood House in Chicago, and the DuPage County Health Department. I enjoy teaching because there is no better satisfaction that helping others to accomplish something they considered almost impossible; I will be happy to help you get there! Adriana made me feel comfortable right away! She maximizes our time together by teaching me the skills and vocabulary based off of my needs, requests and skill level. She sends me resources to review and adapts to my learning style. Her scheduling is flexible - she's wonderful to work with! Absolutely amazing. I didn't want to like the lesson because there are less expensive alternatives. I have taken years of Spanish in school and also classes online and with an instructor one-on-one. I think this was the best lesson I have ever had. I took 8 years of Spanish classes and lived in Ecuador where I used Spanish on a daily basis. My teaching philosophy is to help students engage in learning. I find that a personal connection to new information makes it more engaging and meaningful, and students remember it better too. It's also more fun. That being said, if learning is more readily achieved for your student through other methods, we will do whatever works best. I cater to results, because my ultimate goal is the student's success. "We are very excited about working with Micah. She had an extremely positive impact and we are looking forward to working with her." "She's great! I'm def learning."